The regulatory landscape is evolving: medical device regulators are expecting more mature risk management systems and processes. Further, recent standards revisions and emerging regulations - such as the European Medical Devices Regulation (MDR 2017/745) - show an increased emphasis on patient safety. 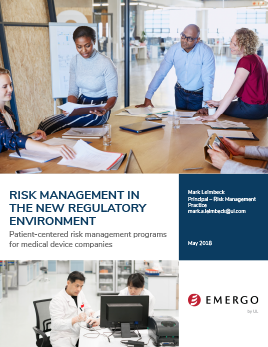 Download our 9-page white paper to learn more about the future of risk management for medical device companies.